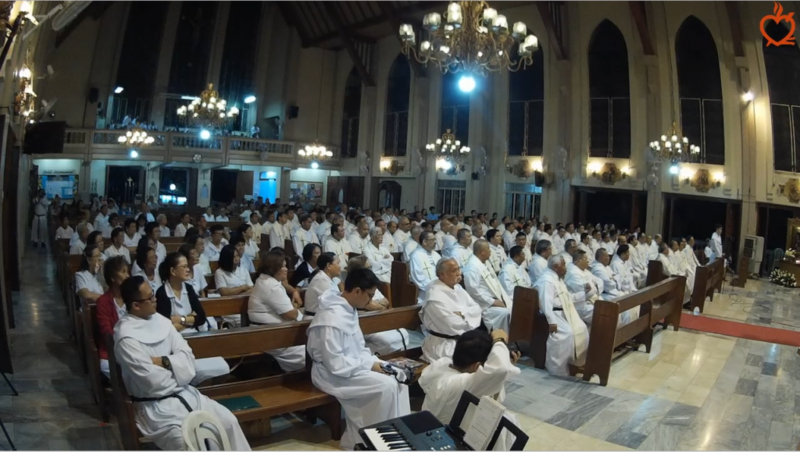 Mira-Nila Homes, QUEZON CITY—The two-day gathering for the 20th founding anniversary of the Province of St. Ezekiel Moreno ended with the celebration of the Holy Eucharist in honor of St. Augustine. Most Rev. Teodoro Bacani, DD, Bishop-Emeritus of the Diocese of Novaliches, presided over the Closing Mass. His Excellency, Most Rev. Teodoro Bacani, DD, Bishop-Emeritus of the Diocese of Novaliches, presided and preached during the closing liturgy of the 20th founding anniversary of the Province of St. Ezekiel Moreno. Like St. Augustine, the yearnings of the Augustinian Recollects should be the search for God. 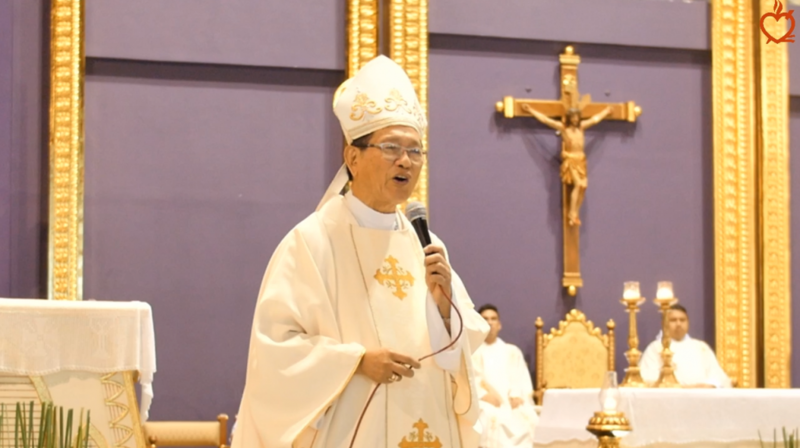 “It is God who should be sought in the community of brethren… in our ministry to the people… God first, God last, and God in everything,” said Bishop Bacani. Augustinian Recollect friars and members of Congregation of Augustinian Recollect Sisters, Secular Augustinian Recollect Fraternity, and Recollect Augustinian Youth gathered together as one Augustinian Recollect Family. To be able to realize the spirit of St. Augustine, the Augustinian Recollect lived in a community which for St. Augustine is the “realization of God’s plan for man.” Bishop Ted then posed the missionary life of St. Ezekiel Moreno, who is not only a saint but an “indefatigable missionary… who went to all his [religious and missionary] assignments with the zeal that was coming from God, with a zeal that was unstoppable… that even death gave him an opportunity to give intercession for all the people.” He was a missionary who brought the Christ whom he experienced and whom he loves together with his brethren. “It is God who should be sought in the community of brethren…in our ministry to the people…God first, God last, and God in everything,” were the words of Bishop Bacani to the Augustinian Recollects of the Province of St. Ezekiel Moreno. Bishop Ted, at the end of his homily, acknowledge the growth of vocation and membership of the Augustinian Recollect. He was also able to ordain some of the Recollect priests and deacons in the past. 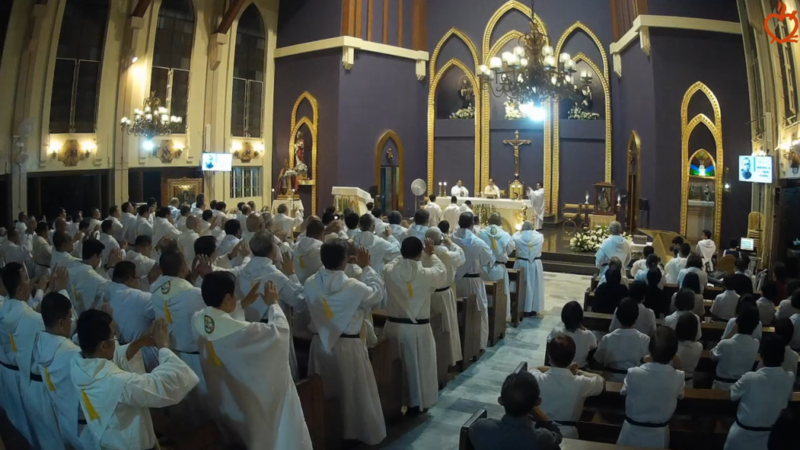 In thanking the Lord for the blessings received during the twenty years of existence of the Province of St. Ezekiel Moreno, ninety-seven Augustinian Recollect priests concelebrated with the bishop, thirteen deacons, four religious brothers, twenty-four simply professed friars, and two novices were present during the Holy Mass. 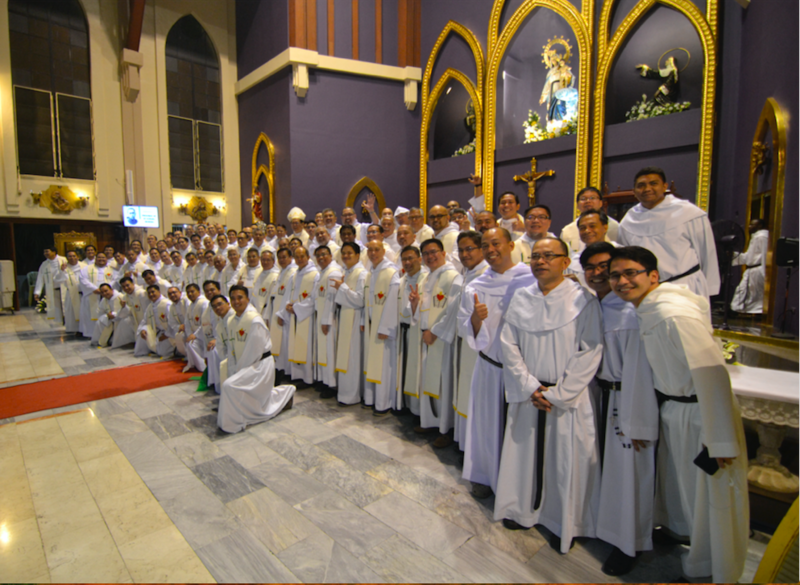 Religious from the Congregation of Augustinian Recollect Sisters and members of the Secular Augustinian Recollect Fraternity joined the Recollect Fathers and Brothers in this joyful celebration. The beautiful ensemble of liturgical music was sung by the Chorus Angelorum, one of the choirs of Our Lady of Consolation Parish of which majority of them are members of the Recollect Augustinian Youth. A special gratitude was also extended to Bishop Ted, as he is familiarly known to many. He and the Recollects were not strangers to each other. He has been associated with some of the Recollects such as, Fray Hubert Dunstan Decena, Fray Emeterio Buñao, and Fray Emilio Larlar, Jr., to name some, during their formation years at San Jose Seminary in Quezon City. When the Recollects opened a school of theology in Quezon City, Bishop Ted was also one of its theology professors. Indeed, the gathering of Recollect fathers, brothers, sisters and lay collaborators was a celebration of a family gathered together to thank the Almighty God for the existence of the Province of St. Ezekiel Moreno. Viva San Ezequiel Moreno! Viva Provincia de San Ezequiel Moreno!